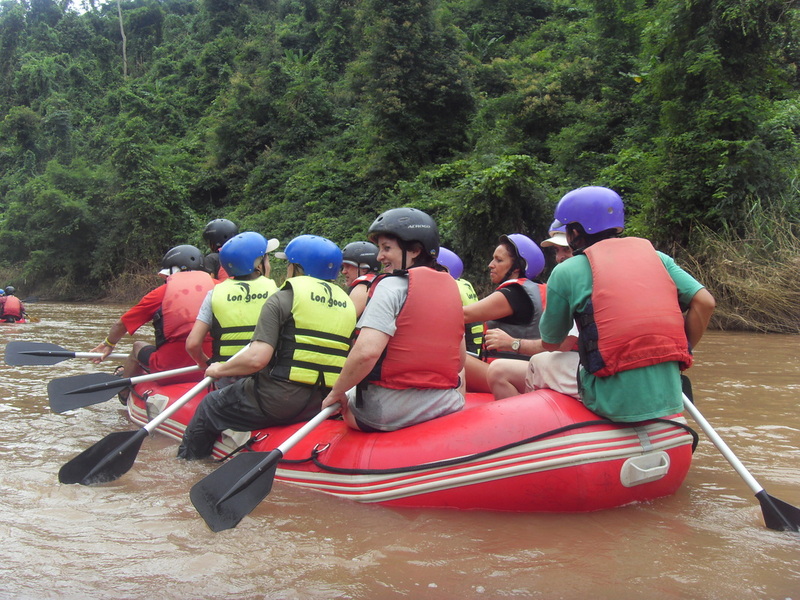 Kayaking or Rafting for 2 days on the Namha river through the Namha National Park - Trekking in Luang Namtha, Laos - Hiking, Kayaking, Cycling, Village Tours - Discovering Laos! We meet at the Discovering Laos office for 9:00am. 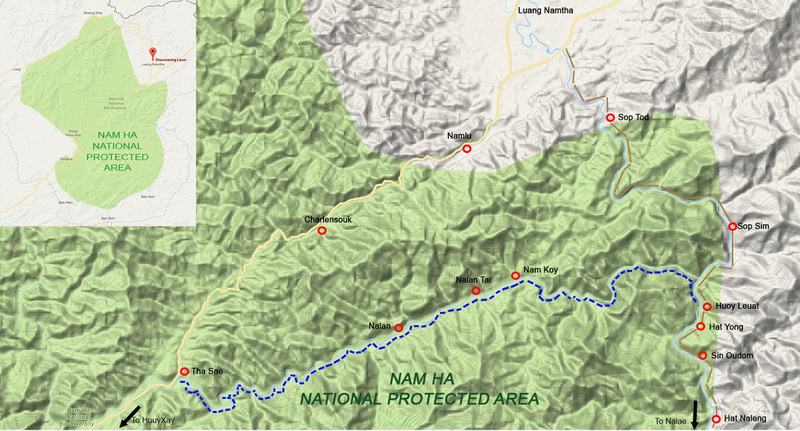 Our tuk-tuk service will drop us off at Tha Sae village on the Namha river deep in the heart of the NPA. Following some basic instruction on kayaking techniques and safety we begin paddling on the downriver. Immediately we find ourselves immersed in a lush tropical landscape as the current carries us deeper into the rainforest. After being meeting the locals and taking a tour of the village, take time to relax, go for a refreshing swim in the river, or explore the local area. At 7:00pm a traditional Lao dinner will be served, after which you can relax in your homestay or eco-lodge or spend a few hours socializing with the locals. Wake up the sounds of the jungle and daily village life with a hot drink and a tasty Lao breakfast. At 10:00am we set off on the river and begin paddling and navigating through the rapids downriver. On the way we stop off to briefly visit a couple of charming Khmu villages. Several thrilling rapids later and surrounded with lush forest we come upon a picturesque riverside location and enjoy a tranquil jungle picnic. ​Back on the river the current quickens and the river alternates exciting rapids with stretches of calm waters and the chance to appreciate the enchanting sounds of wildlife in the air. At approximately 3:00pm we reach Houay Leuat village and the end our thrilling kayaking adventure, where our tuk-tuk awaits to return us to the Discovering Laos office. The price ranges from $58/person (USD) for 8+ Pax to $183/person (USD) for 1 Pax.